Summer of HPC is a PRACE programme that offers university students the opportunity to spend two months in the summer at HPC centres accross Europe. The students work using HPC resources on projects that are related to PRACE work with the goal to produce a visualisation or a video. At the end of the activity, every year two projects out of the 20 participants are selected and awarded for their outstanding performance. The program of the award event includes presentations given by PRACE Board of Directors representative, by the PRACE Project PMO, and the Chair of the SOHPC award committee. The two winners will be given the opportunity to present their project and results. Cineca organizes a meeting to present Summer of HPC, the transnational mobility program promoted by PRACE. 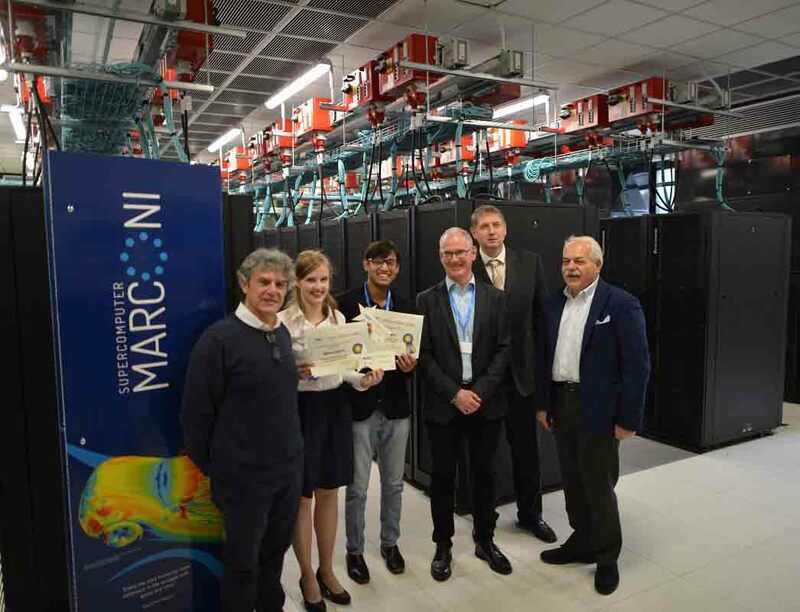 As host of the award ceremony Cineca wishes to present to the Italian scientific community the interesting opportunity offered by SOHPC to students who intend to spend a period of study abroad in the context of high performance computing. Welcome speech by Cineca Sanzio Bassini. The commitment of PRACE to dissemination, Sergio Bernardi (Board of Director PRACE AISBL). SoHPC project: aims, and facts, Florian Berberich Project Managment Officer of PRACE. Prizegiving, Leon Kos PRACE Summer of HPC 2016 coordinator. Preentations of the awarded students: Anurag Dogra, Marta Čudova.